Go-ebikebali.com is our business partner. Our guests get 20% off the electric bike tour. 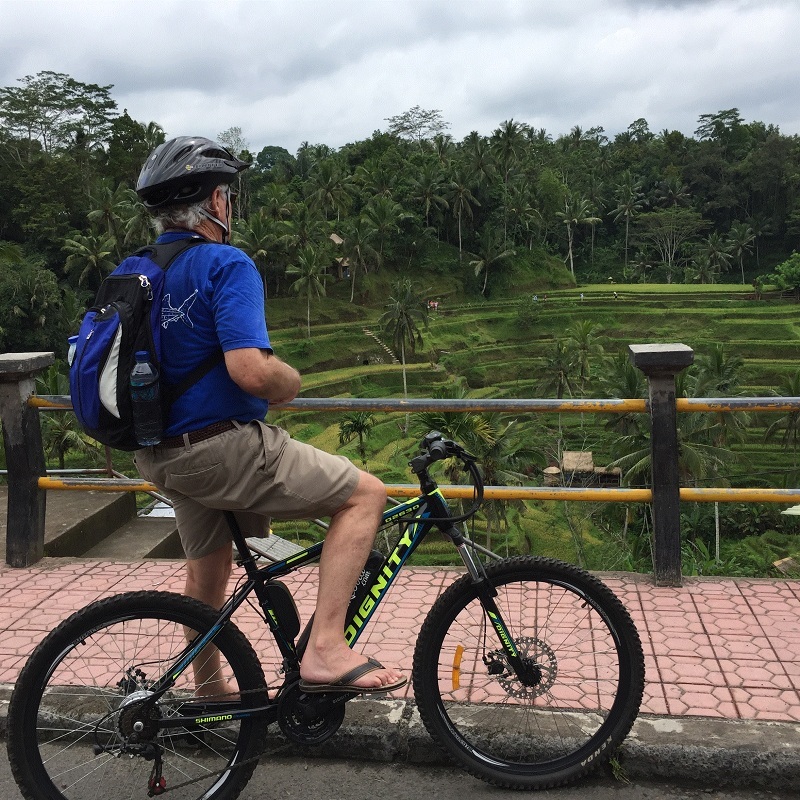 The ebike tour includes Tegalalang Rice Terraces, a UNESCO World Heritage Site. From the moment you enter into our place, you step into a river stream forest of tranquility and peace with relaxing nature sounds. You will see large exotic and tropical fruit trees such as mango, jackfruit, durian and coconut. You won't believe you are only a few minutes away from the bustling center of Ubud with all its bars, restaurants, galleries, shops and markets. B&B Home Stay Griya Jungutan is the ideal point of departure for your excursions in Ubud. From here, guests can make the most of all that Ubud has to offer. With its convenient location in the Ubud center, Griya Jungutan offers easy access to the Ubud's must-see destinations. 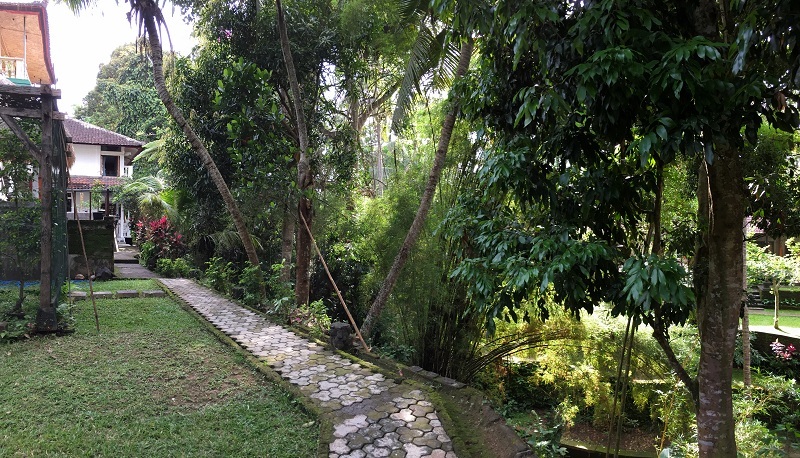 It's just a short walk to Ubud Palace, Market, Monkey Forest and Rice Fields Walk. We have an outdoor pool for adults, as well as a little one for kids. Also, very much loved is our meditation gazebo, where you can sit quietly, be with the Golden Buddha, overlooking the magnificent garden and river stream in front of you. Next to the swimming pool are two bungalow houses with 6 guest rooms. Each has its own private terrace entrance with the view of river jungle or garden. 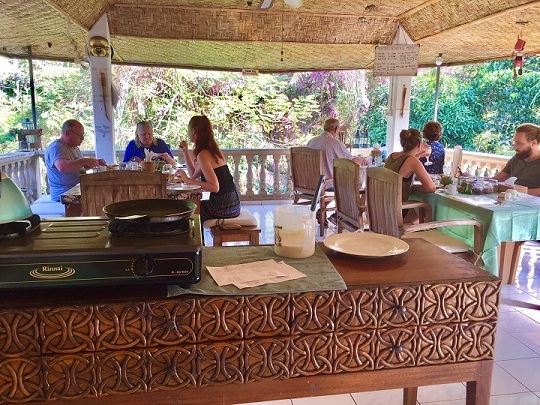 We have a dedicated breakfast serving area overlooking the rich display of tropical trees, flowers and plants. We serve a (free) delicious breakfast that you might expect at home. An open kitchen setting makes you feel safer to eat as you can watch while we are cooking. We maintain a high food hygiene standard. We strive to provide the best free breakfast for your money. Thank you for taking the time to visit our website!